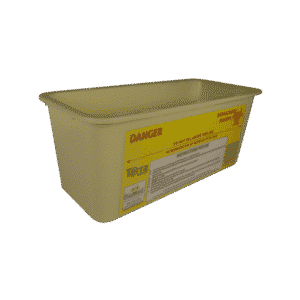 Turbine Safety Lid for Terra™ 4-Litre & 8-Litre Sharps Containers – Biomed Recovery & Disposal Ltd. 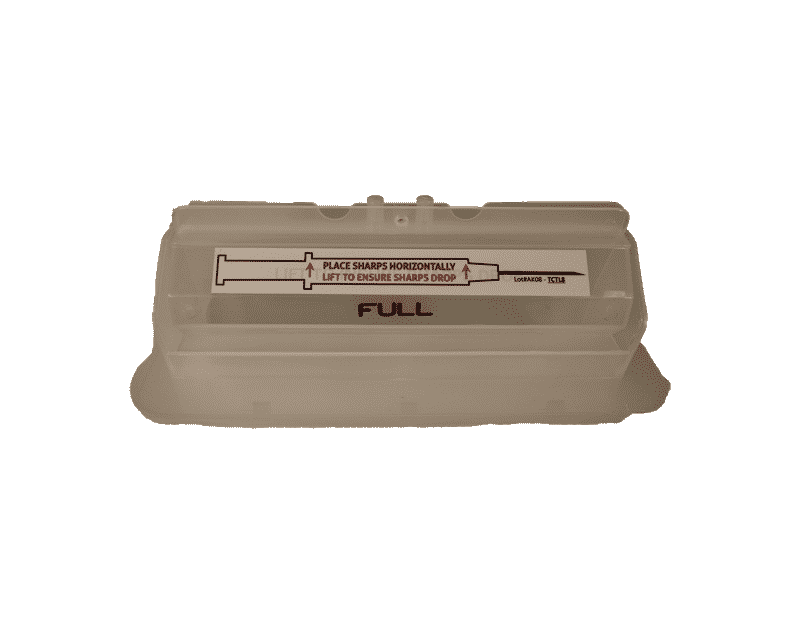 The turbine safety lid (TCTL8) for the Terra™ 4-litre (TSYC4) and 8-litre (TYSC8) sharps containers is a counter-balanced, drop-away lid suitable for more public areas like a clinic room. 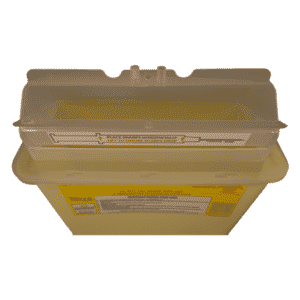 Security features include a sliding lock system to connect the lid to the container (A), a security pin to prevent accidental opening (B), and a lid locking system for transport (C). 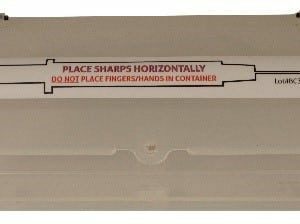 As well, two additional security pins are located at the top of the lid (C).